The Republic of Armenia is a mountainous country in the South Caucasus region of Eurasia, right at the crossroads of Western Asia and Eastern Europe. Out of 3 mln population about 1.2 mln live in Yerevan, the capital of Armenia, and consume the majority of imported goods (60-70%). 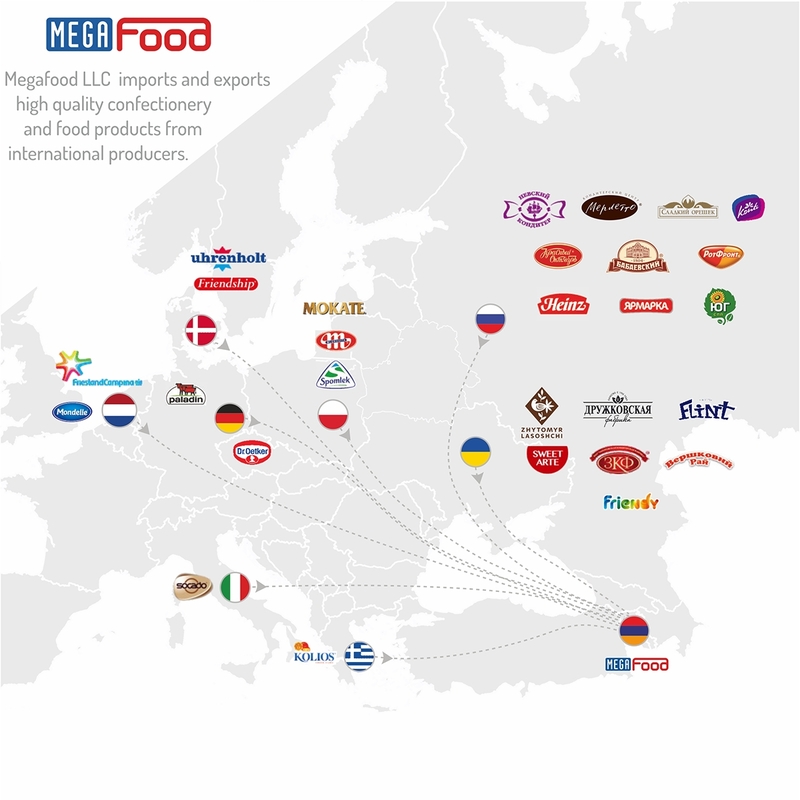 "Megafood" LLC is an import company owned and operated in Armenia, Yerevan since 2001. The primary focus of the Company is import and export management of food products. The turnover grew aggressively boosting imports to 7000 tones for 2018. "Megafood" LLC successfully combines its knowledge of procurement and distribution to keep a leading position of the supplier of confectionery and consumer goods. "Megafood" LLC currently represents more than 30 brands from 8 countires.